I did not pick up a book for a little over a month. 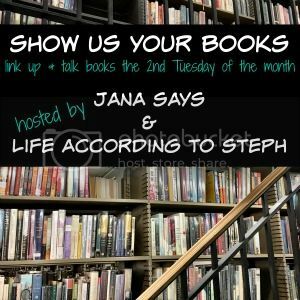 We have all talked about it before, our book reading habits go through phases and I'm happy to let my phases take me where they wanna go. I'm still kind of in the funk, but I am sure it will pass soon. I really loved this book, same feelings as the first one. It took me a bit longer to get into, but only because I was in a bit of rut and didn't want to push it. I can't quite put my finger on why I enjoyed both books so much, but I highly recommend if they sound like your jam. The 3rd and last comes out next February. There is no denying Picoult is a great writer and she always handles super tough topics and stomps all over your heart with no regard for your feelings. I dig it, I expect that when I pick up my annual Picoult book - because seriously, my heart can't take it more than once a year. I read this book in one night, cried a bunch, thought a whole lot and tried to look at myself with the same scrutiny. It's hard to say I enjoyed a book like this, because it is so heavy, but I did enjoy it and I do recommend it. This book was really good and I really enjoyed it, but lordy it was hard to read! I know lots of people loved that and all the little weird art things or different formats but it just gave me a headache. Other than that, the story was interesting and I laughed several times and annoyed KC with reading out lines. I finished book #4 well over a year ago, so I had forgotten basically everything. It took me ages to get into, though clearly eventually I did. If you like this series then obviously yes I recommend. Just gird your loins emotions. So many emotions. I only knew Felicia Day from Supernatural, but even when I watched that show I remember thinking I'd seen/heard of her before. 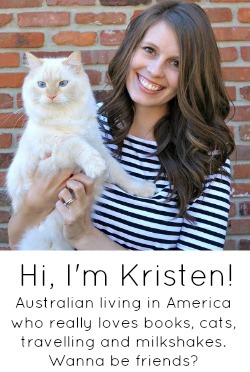 I am definitely not 'geeky enough' for a few of the things she talks about, and I tried to watch her web show but it just wasn't my jam... but overall what I loved about this book/her message was that how great it is to find fellow weirdos, or your own little community of people that say 'hey, me too! ', whether that's in real life or on the internet. Regardless of your passion- gaming, books, lizards, fan fiction, you will find someone else who loves what you do, and that is such a fabulous feeling. It was an entertaining listen, and even if you're only slightly geeky, I recommend. This book was odd for me. I have never read a Diane Chamberlain book and I'm not sure it was what I was expecting. I was super into it at first, but then it started to irritate me. I thought it was super predictable, the main character was so frustrating and annoying, sometimes it read like a soap opera, I felt absolutely zero connection to any of the characters.. I feel like it could have been way more thought provoking but I just kept thinking hurry up, something happen, get to the point I know is coming. It sounds like I hated it, I didn't. It was just fine. Oy am I in the minority with this one! First off, I just found it kind of boring and tediously written. I just wasn't a fan of the way it was written 'Eilis did this and felt that and then did this and this cost five dollars and she caught the train' like stop telling me things and start telling me a story you know? We can piece together some things ourselves. And then honestly, I didn't like the ending and certain things that happened right before the ending. I don't know. Personally. I did not like this book and do not recommend it. I did watch the movie immediately after because I'm weird like that, and while I still didn't care for the story as a whole, it was a well done movie and they handled the ending much, much, much better. In my opinion. I also read My American Duchess which I thoroughly enjoyed, if you like those kinds of books I highly recommend. I recommend all the books in the top section if they sound like your jam, if not, I don't. I would recommend the new Jodi Picoult if you don't mind a heavier read. I love Jodi for tackling really hard subjects... two of my favorites of hers were 19 Minutes and House Rules. I have a hard time reading about racism because it makes me so angry but I love her as an author so I may have to check it out. I have read one Diane Chamberlain book because I was given it, and I'm with you on the soap opera thing. The one I read wasn't predictable as such (my theory was wrong) but you had to suspend belief to an extent that was just too much for me. So. Many. Coincidences. It was Summer's Child in case you're interested. I have almost all the Jodi Picoult books because I mentioned that I liked one then my dad just kept buying me them! I managed to stop him after a while though, so I haven't read any of the most recent ones. I felt like you did about Picoult. It was tough subject matter but still enjoyed reading it. I am not a fan of weird formatting and stuff it makes me lose focus so I am going to skip on past that one. You're Never Weird on the Internet has been on my list forever, I really need to get around to it. For someone who didn't read for a long time...you still have a decent amount of books woman! I don't really have an interest in the Brooklyn book. I didn't see the movie (I don't love that actress for some reason), and I just feel like historical fiction is just kind of over for me. Is that odd? I've not enjoyed a HF book for awhile. I still haven't read any Jodi picoult books but I'm bracing myself to try one someday lol. I tried Brooklyn last year and really did not enjoy it so abandoned it. Maybe someday but I doubt it! Haha. The Victoria's Schwab series sounds good, I'm going to add that to my list! Illuminae is on my TBR too. Ahh someday maybe I'll. 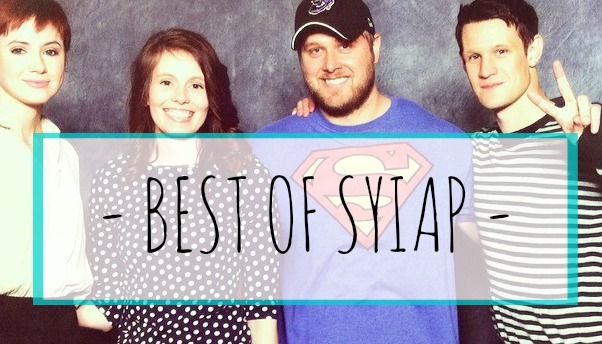 Get to Sarah j maas! Always love and appreciate your reviews! Jodi is my GIRL! I am in the minority right along with you. I was not impressed with Brooklyn either. I didn't feel that it was wonderfully written and it left me feeling like there should be something more. Such a disappointment since I had expected a lot from it. I am curious about Lilac Girls. I keep reading such good reviews for it. Felicia Day! See... I used to play World of Warcraft so I binge watched her show in like a week (not that the episodes are all that long but I don't watch that much TV so it was good for me) and I really enjoyed all the WoW and gaming references in the book. I was also infuriated by the whole Gamergate thing and the concept of doxxing. It's like the post I wrote a year or 2 ago about "hacktivists" who think they're purporting some form of Internet justice. Ridiculous and terrifying at the same time. I'm also kind of in a reading slump - too much self help, not enough fluff! Hopefully Beauty and the Clockwork Beast pulls me back out. I wasn't super into it but then I read where they had their first meeting and it's like my brain clicked into "romance" mode, so I think I'm good now. I had Brooklyn from the library at one point, but never felt like starting it for some reason-- and weirdly I'm not super drawn to the movie either. I've never read anything by Picoulot, because of everything you said aka not wanting to be sad, haha, but I just read the synopsis for that book and it sounds really good. 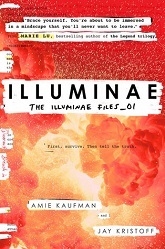 I'm intrigued by Illuminae-- but is it super long, or is it just because the format isn't typical? Brooklyn book version was kinda boring but the movie was one of my favourites! I've wanted to read that Jodi Picpult book but I know I'd have to devote a good chunk of time and be emotionally ready to ball my eyes out for days, so I've avoided it as well. I've had Jodi's new book on my radar - it does seem heavy, but she never seems to do any wrong! Hmm ... clearly I need to read something from Jodi Picoult. I've heard a lot about her but just haven't picked up any of her books. 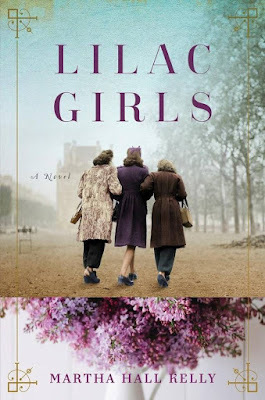 So glad you're reading the Lilac Girls - can't wait to see what you think! 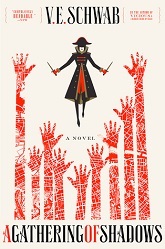 I have a Gathering of Shadows on my list already. I think I need a trip to the library to try to get out of my reading funk. I tried Lilac Girls but couldn't get into it. Have you read One True Loves by Taylor Jenkins Reid yet? Good to know that the last book in that first series comes out in February. I'll wait so I can read them all at once. I have that Jodi book on my NetGalley, but I haven't read it yet because I haven't been in the mood to ugly cry. Haha. As crazy as this sounds, I don't think I have ever read a Jodi Picoult book. Crazy right, I have no idea why either. You totally have me reading more, I'm currently reading Big Little lies. It's pretty good. 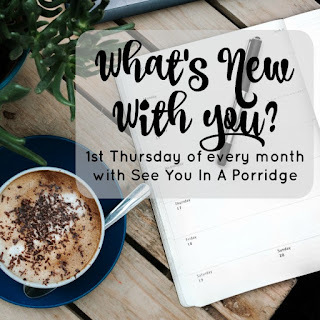 Small Great Things is definitely one of her best and this month, I read Between the World and Me which, after reading SGT, had a totally different meaning than had I read it prior. She's an author I'll never quit, too. I want all the books of Thorn of Glass series to come out before I get started in it. I dont want to wait. Do you know how many there are going to be? Oh Jodi Picoult... Not sure I can handle it. Too many feels! Recommending books can be hard, I always feel like I need to caveat that I loved this but YOU may not. We all have such different taste in books. Ah, Felicia Day, aka Charlie, from Supernatural. I also enjoyed her on the show but wasn't very familiar with her work outside of it. But I love the message that everyone has their own community, somewhere. Shades of Magic is on my TBR but I will probably wait until the 3rd book comes out to pick it up. When possible, I prefer to read trilogies when all the books are released so I can plow through them. 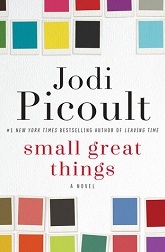 :) I've seen lots of rave reviews for Small Great Things and am waiting to read it until I can handle it emotionally. Books that deal with racism are always hard reads for me, especially now. Oh man I love me some JP. I've read most of her books, and I totally want to go back and reread some of the ones I read years ago. Can't wait to read the new one and be a huge blubbering mess! 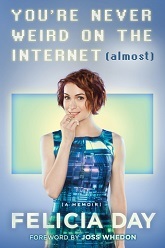 I need to read the Felicia Day book again I think. I think I judged it too harshly being a super geek myself. Sorry you were in a reading funk, but it was for good reason - look at all that amazing work you guys accomplished on the house. I need to add My American Duchess to my list, glad you enjoyed it! I couldn't think of anything to tell her when my mom asked me what I wanted for Christmas, so I said Small Great Things since it was already on my to-buy list. Which means now I can't read it until Christmas. I can't wait, but also, I can, because I know it's going to do the same thing to me. I think I'll pass on reading Brooklyn but the movie is in my queue and I want to watch it soon! It looks so lovely. I've heard good things about Lilac Girls, if I remember correctly, though I can't remember right now what it's supposed to be about. How the heck do you find time to read? You are truly a rockstar!! Lilac Girls sounds super interesting! Adding it to my list. I'm picking up Small Things from the library tomorrow! I love Jodi Picoult and can't wait to read it! I loved Lilac Girls. Hope you're enjoying it! 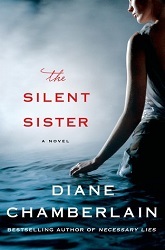 The Silent Sister is on my to read list already. I've only read two other of Chamberlain's books and really enjoyed them, so hoping I'll like this one. That's always my biggest fear when I read a series that isn't finished yet, that I'll get started on the books, have to wait forever for all the books to come back out and then forget everything that happened. The only reason that didn't happen with Harry Potter was because I would reread the entire series before the next book came out, but there's too many books to read right now in order for me to do that! I loved Throne of Glass and I really can't wait to read the rest of the series! Hopefully I'll get around to it soon! Interesting selections. I had wondered about Brooklyn, after I saw the movie and realized it was based on a book. Glad to hear your thoughts. I've yet to read a Diane Chamberlain book. You aren't convincing me that I should - ha! I picked up Brooklyn at a secondhand bookstore (my favorite one that was in North Sydney but is now closed). That was about a year ago. I haven't felt the urge yet to pick it up. I think I'll avoid it a little longer. Uhm. You staged and sold a house and moved and you read? Super woman! 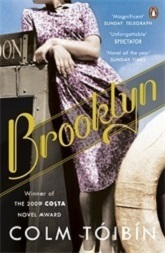 Brooklyn is one of the books I have sitting on my desk to read. Throne of Glass sounds like something I would be into. Your top 4 books intrigue me! Jodi Picoult's recent book is on my TBR but I'm waiting for the right time to read it. 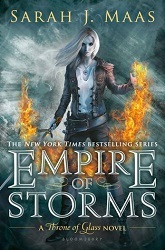 Throne of Glass is a series I could see myself reading too! I can't wait to hear what you think of Lilac Girls! I found it to be amazing! Thank you for always sharing and reviewing your books! Can you believe I have never read a Jodi Piccoult book? At some point I'll have to try one just to know for sure if I'm into her stuff or not since I know she's quite popular. I've read loads of Jodi Picoult books and I enjoy them a lot, though as you say they can be hard going with difficult themes. They always leave you with a lot to think about! I loved Brooklyn the move! Not sure whether I would try the book. I've had Brooklyn on my list forever because I liked the movie, but maybe I'll just pass now if it's not that good. I'll probably be annoyed with the ending if it's different/handled differently than in the movie. To be fair, you have had quite a busy month...! And I totally know what you mean about your annual Picoult. Man, her books are tough reads. Good, but tough. I'm currently reading Travels with Steinbeck by Geert Mak which is brilliant but dense. So it's taken me the whole month to read, basically. I'd really recommend it but it takes a lot of concentration! I'm just about to start the first Throne of Glass book. I've heard such good things so I'm hopeful! Glad to hear that you are still enjoying the series 5 books in! 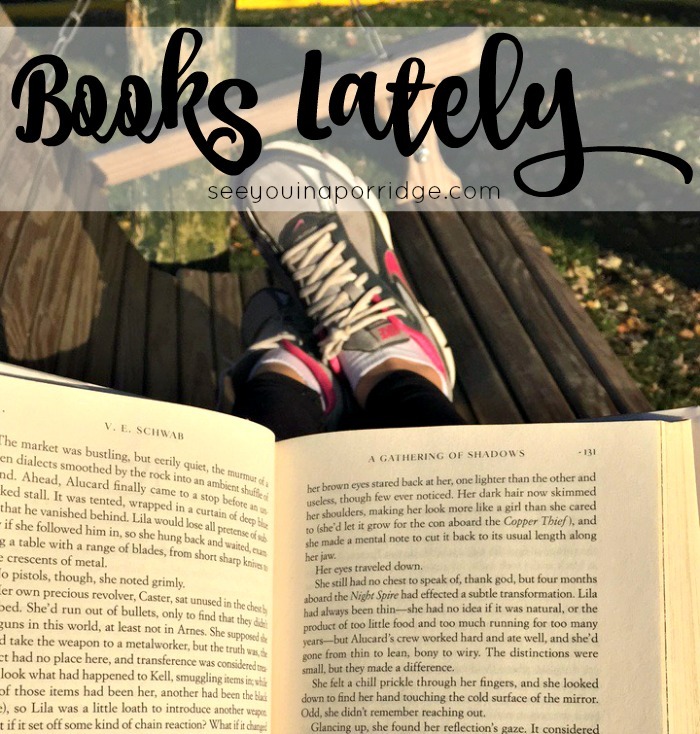 I feel like i have been in a bit of book rut too. In between my book club, I have been trying to finish the longest book ever and I'm not super into it so it's slow slow going. Hoping my next book is a really good that gets me back into things! I've heard lots about Brooklyn but it's good to hear some negative reviews too! I don't think I'll end up reading it just because it wasnt something that I desperately wanted to read. I've avoided Brooklyn because I don't think I'd connect with it. Something tells me to stay away from it. I've still only read one Jodi Picoult book (The Pact), but I really enjoyed it. I have Small Great Things on my list (as well as several of her other books), but good God is the waiting list at the library LONG for that one! I'm thinking it will be something I finally read next year. I'm on the fence about Illuminae, but I'm adding it anyway. Based on the Goodreads summary, it seems like something I'd either really enjoy or really dislike. You know I'm not a huge fantasy fan, but I'm always intrigued by dystopian stories ... So I don't know. The different format thing sounds a little like House of Leaves. I really liked that book, but, like you said about Illuminae, it was hard to get through. It literally took me six months to read that one! I have a couple of Diane Chamberlain books on my "To Read" list, but I still haven't picked any of them up. I'm kind of iffy about them, and your review reminded me why: I was worried they'd be like overly dramatic soap operas. I'll probably still give her a chance at some point, but I'm not really in any rush. Pretty much all of these are on my list to read. At some point, I'll get to the Throne of Glass series. As someone who played World of Warcraft, not even I was nerdy enough to get into Felicia Day's book. That's one that I got on audible before that 100% satisfaction thing and I couldn't return it. Booo. If you like Sara J Maas you HAVE to read her Court of Thorn & Roses series. The first one was good, the second one was like ohmygod MEGA book hangover, I can't believe I have to wait to read the next one! !